“The Gospel of God’s love for man, the Gospel of the dignity of the person and the Gospel of life are a single and indivisible Gospel” (Evangelium Vitae, #2). 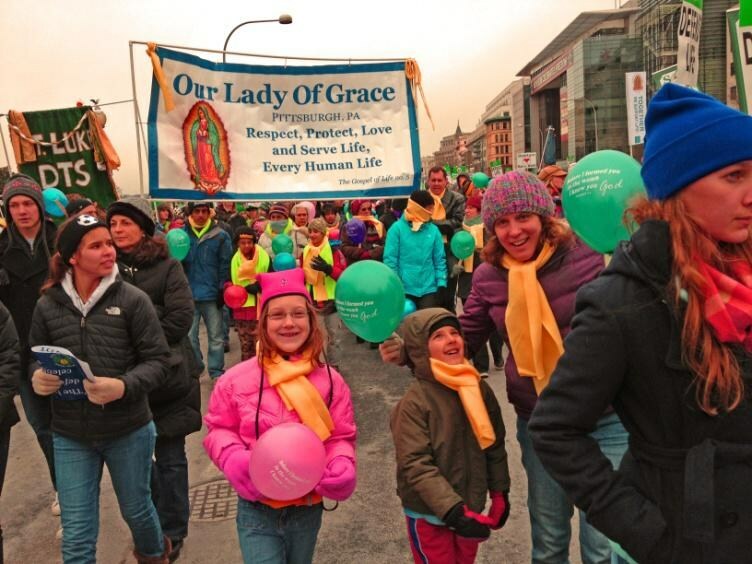 Our Lady of Grace Respect Life Committee serves our parish by fostering opportunities to affirm the sacred character of human life through service, prayer, education and public witness. Committee members meet once a month, September—June, and coordinate parish activities for Respect Life Month (October), the parish bus-trip to the March for Life, and other simple efforts throughout the year. New members are welcome, as are volunteers willing to help out on an as needed basis.